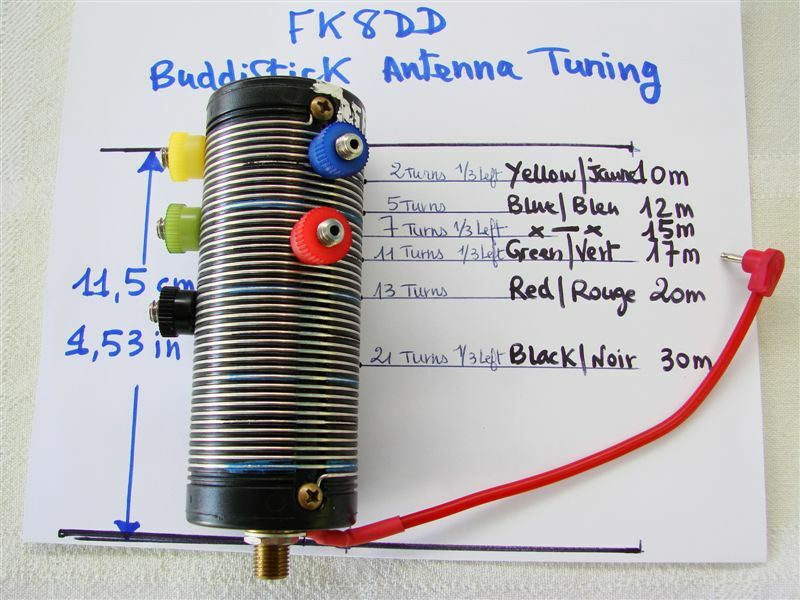 Today I’ve taken some time to test my latest portable antenna, the Buddistick. 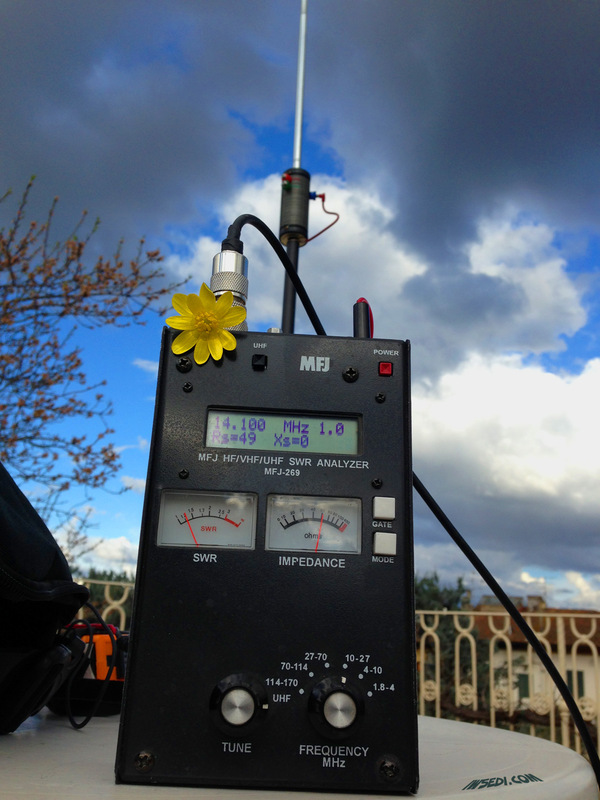 By using an MFJ-269 antenna analyzer I’ve tried to find the main tuning keys for this small multiband antenna. I’ve been able to find an excellent SWR and Impedance setting for the 20 meters band, but I’ve also learned that tuning this antenna is a mix of settings. First of all the Coil, as stated in the official documentation, the coil can be tuned by simply moving the clip tillÂ you hear the highest noise. The antenna analyzer confirmed this. Another determinant factor is the counterpoise. The lenght and the presence of metal close to the wire can significantly impact on impedance and SWR readings. Whip lenght, can also influenceÂ but not as much as coil or counterpoise position. I’ve taken some notes for coming outdoor operations, and they are almost similar to the ones published by FK8DD in his web site. Another important trick I’ve learned is the 1/3 coil / clip position. By simply placing a clip at 1/3 right or left of the coil can surely tune the coil lowering or shortening the antenna. After having properly setup the antenna for the 20 meters band and having called CQ for a couple of minutes (with no answers) I’ve decided to approach the 40 meters band using the Higher Noise method. 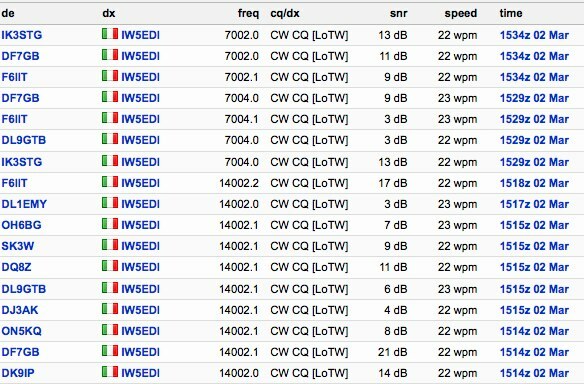 I’ve found in fact that setting the clip at the third turn from bottom, and leaving the couterpoise as was set for 20 m, the SWR reading on the FT 817 was showing 3 dots…. By sliding down the Whip the SWR reading become excellent. So I made a few calls even here.